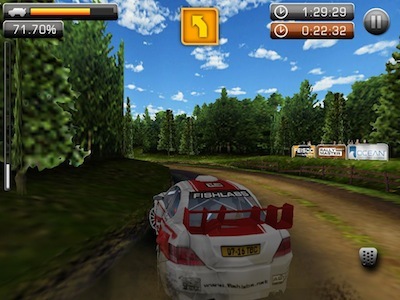 Drifting, before it became a stand alone sport, was seen only with rally cars. 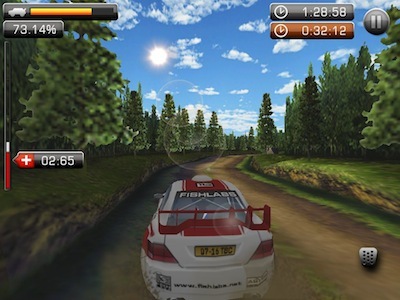 To scrub off speed or to rotate the car around a tight corner at high speed, the driver would turn the car the opposite direction of the corner then rotate the car to drift around the corner. We actually have a rally driver on staff as well as many motorspot fans. 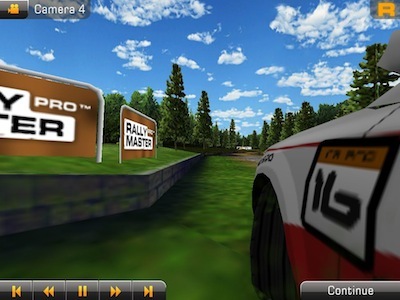 It didn’t take long for the update to the app Rally Master Pro 3D to make it onto their iPads. The update expanded the fun little iPhone app to a full screen iPad racing game (universal app). The game controls is the iPad it’s self. Turning it like a stearing wheel and tipping forward to accelerate. Yes, it was pretty obvious who in our meetings today where actually playing the Rally Master game. As folks start to master the game, their speeds really picked up. Requiring more forethought to get the drifting correct for the turn… beware getting the car too sideways heading into a jump! 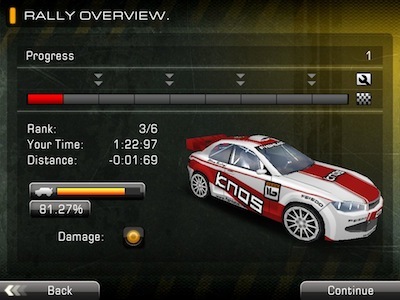 Each Rally Master Pro level driven through can be played back for bragging rights to coworkers and friends. In the playback, multiple angles of views can be chosen.